1956: Completed by T. Summers, Fraserburgh for Brixham Trawlers Ltd, Fleetwood as MOORHEN. 07.02.1957: Registered at Fleetwood (FD ). Gordon C. Dugdall designated manager. By 31.08.1960: Sold to Harry Franklin Ltd, Grimsby. Fleetwood registry closed. 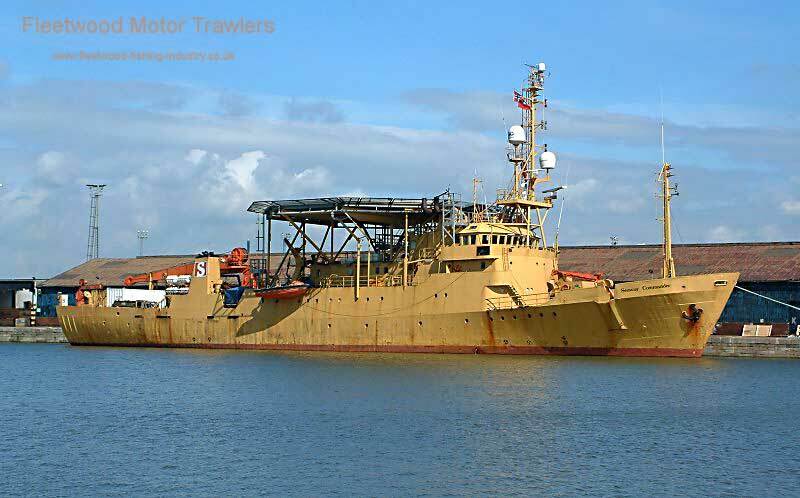 Registered at Grimsby (GY593). Harry Franklin designated managing owner. By 1971: Remeasured and registered Part IV only, 22g 22n. 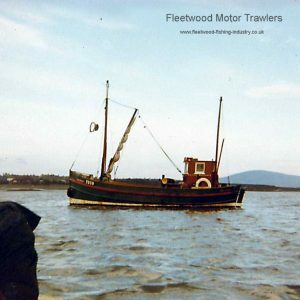 By 31.05.1975: Sold to Ronald Bond, Fleetwood. Grimsby registry closed. Registered at Fleetwood (FD306). Ronald Bond designated managing owner. 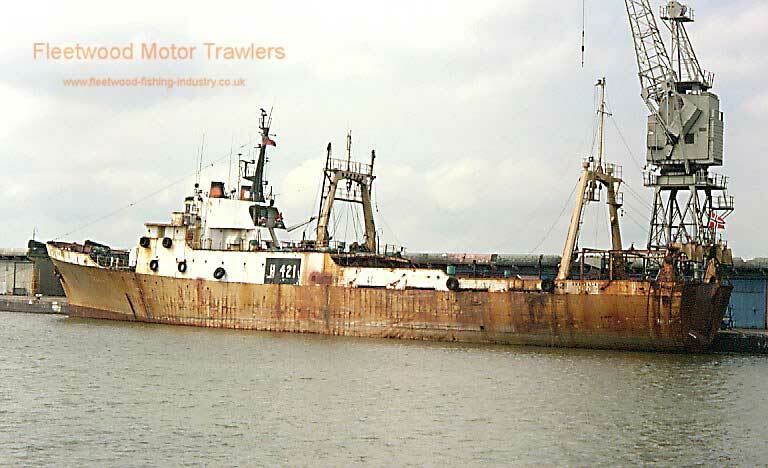 By 31.08.1979: Sold to W. H. Gregg & Sons Ltd, Hartlepool and others. 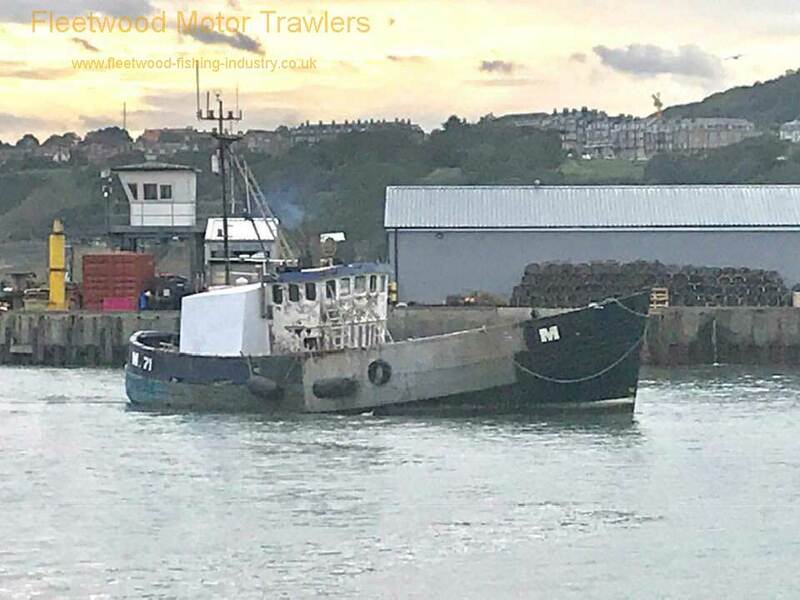 This entry was posted in Inshore Fishing Vessels, Motor Trawler on 11th September 2017 by William Brixham. 1950: Built at Buckie for Thinnesens of Grimsby. 1954: Owners W. Dixon and H. Thinnesen, Whitehaven. 1985: Owner in this year was Charlie Bird, Fleetwood. 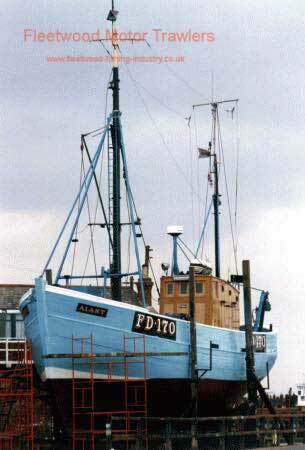 Registered as ALANT FD170. Skipper at this time was Cyril Clark. 1989’s: Fishing out of Shields. 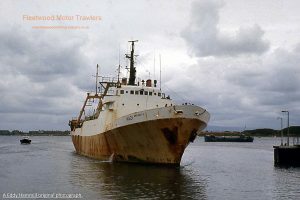 Undated: Renamed the “Brendalison” ?? This entry was posted in Motor Trawler on 10th June 2017 by William Brixham. 1975: Ordered by Browse Brothers, Paignton. 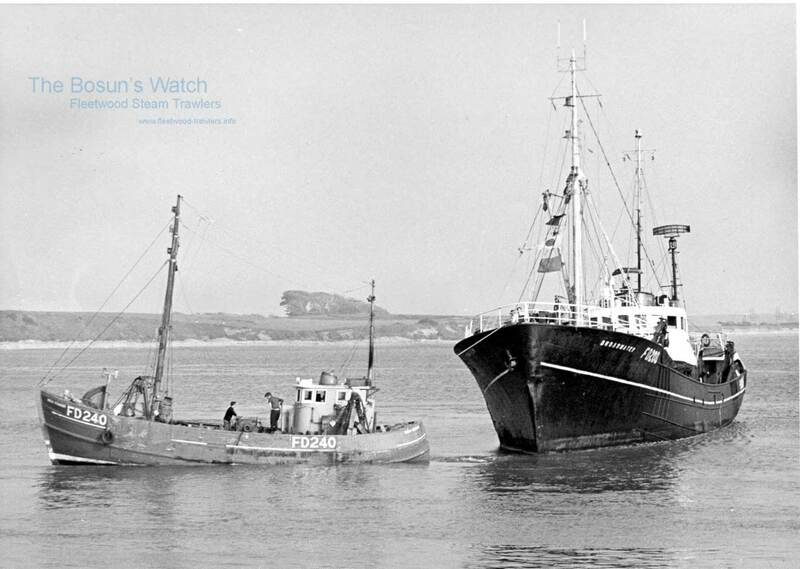 1976: Completed by J. Hinks & Son Ltd, Appledore (Yd.No.?) for Maurice Browse, Paignton & others as CRUSADER. Registered at Dartmouth (DH71). Based Kingswear, Devon and working the mid-Channel grounds (Sk. Mike Dormon). 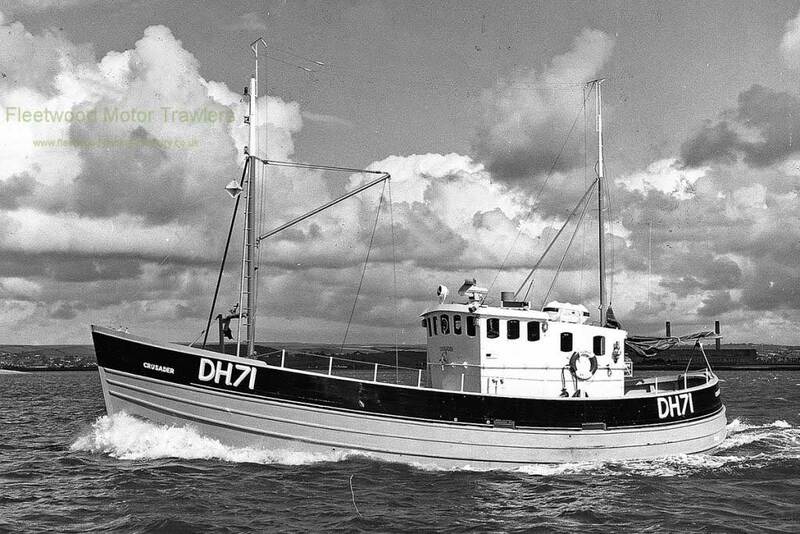 07.1978: Sold to Stanley V. Browse, Brixham & others. Registered at Dartmouth as CRUSADER OF KINGSWEAR (DH71). 1990s: Became nomadic, fishing out of various ports before being based at Whitehaven and Girvan exploiting the Irish Sea whelk grounds. By 1993: Sold to Kenneth Browse, Paignton & others. 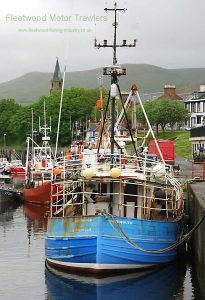 2010: Laid up at Girvan and offered for sale. 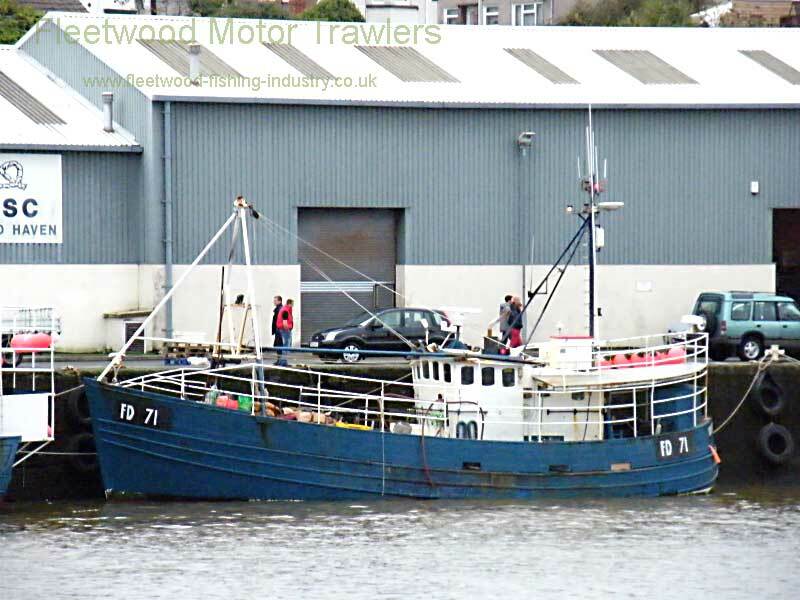 2012: Sold to B & M Fishing LLP, Fleetwood (Anne Mary Bynam, Andrew Robert Bynam & AM Seafoods Ltd). 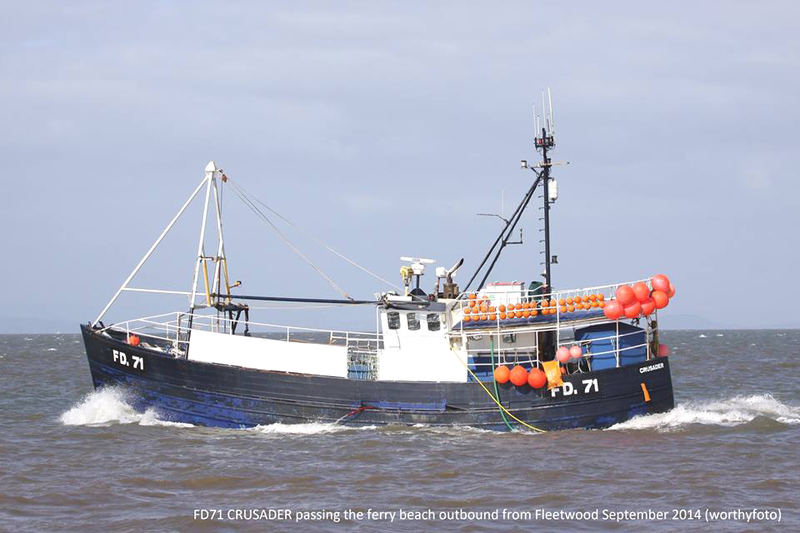 Registered at Fleetwood as CRUSADER (FD71). Continued operating as a whelker. 03.2016: Sold to Timothy Bowman-Davies, Nyeland. 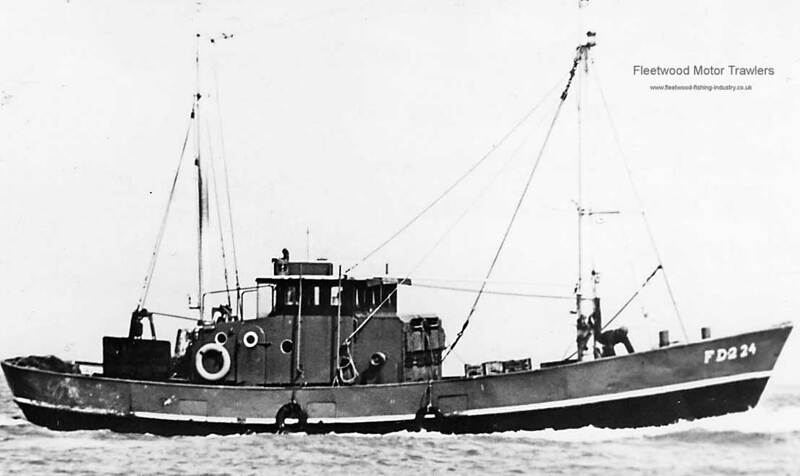 Registered at Milford as CRUSADER (M71). 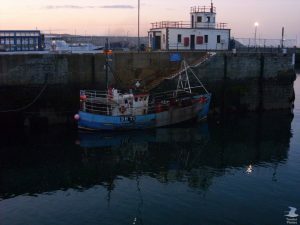 Continues to operate out of Milford as a whelker. 2017: Sold to Richard Wright, for conversion to a private vessel. 22.06.2018: Sank alongside at Scarborough. Raised and being refurbished for private use, possibly as an angling boat on the Humber. 11/12/2018: Updated information and added images. 07/01/2019: Added image and removed FMHT watermark. 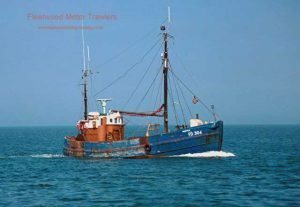 This entry was posted in Motor Trawler on 6th June 2017 by William Brixham. 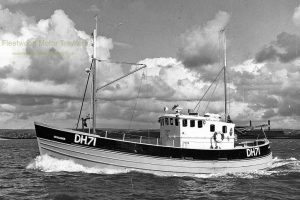 1954: Built as as UK90 “GEERTJE” for F. Miller, Urk, built with a 100 HP Mercedes Benz. 1955: New 105 HP MWM engine fitted. 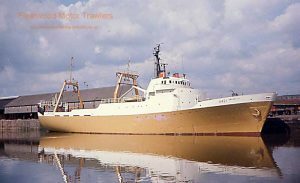 1964: Registered owner H. Miller Urk. 1965: Registered as “ELISABETH” (WON24) Gebr. Albert and Andries Koornstra Makkum. 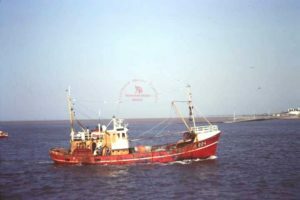 1969: Registered as “LEENDERT” (SCH29) HM Snoeck Hague. 1970: Registered owner C. Th. Heyning Wassenaar. 1971: Registered as “BOY JAMIE” (FD224) Jimmy Hesketh Fleetwood. 1972: Registered as “BOY JAMIE” (BM224) Harry & Brian Trust BM and other New engine fitted, 214hp Baudouin. 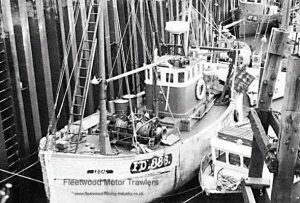 1986: Registered owners Rogers & LF Beatty Brixham. 1994: Registered owner Norman Rogers Brixham. 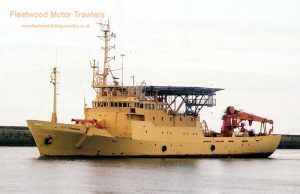 This entry was posted in Motor Trawler on 4th February 2017 by Howard Small. 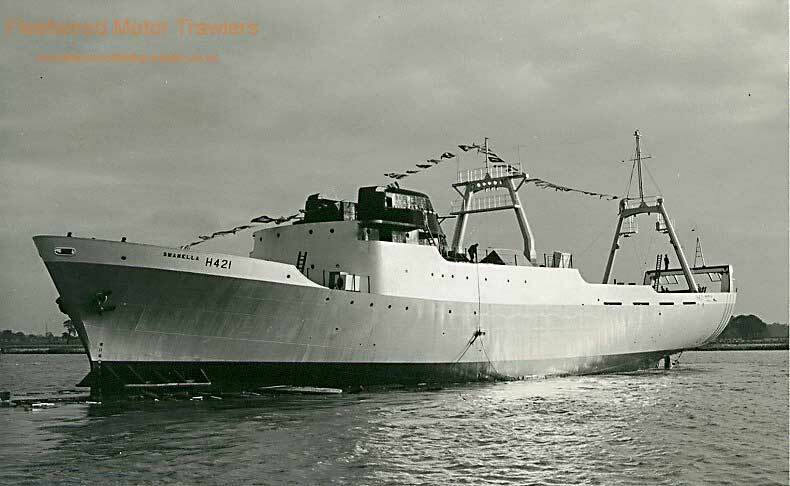 04.1961: Completed by Brooke Marine Ltd, Lowestoft (Yd.No.280) as CARLTON QUEEN. 05. 1971: Engine replaced with 6-cyl 900bhp/662kW oil engine made by British Polar Engines Ltd, Glasgow. 1976-1986: As WARBLER > DAWN WARBLER (Offshore platform standby vessel). 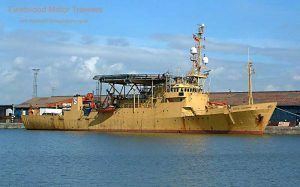 07.1986: Sold by Warbler Fishing Co Ltd as DAWN WARBLER offshore platform standby/safety vessel to Spanish interests for conversion to a great liner. By 1991: Re-registered at Fleetwood (FD363). 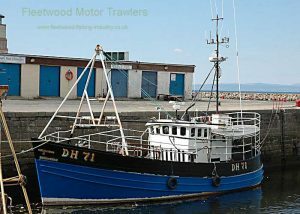 This entry was posted in Motor Trawler, No Fwd Owners on 3rd February 2017 by Howard Small. 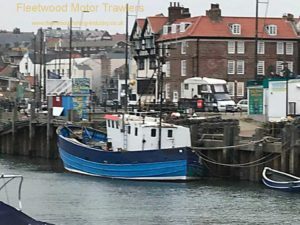 This entry was posted in Motor Trawler on 2nd February 2017 by Howard Small. 1949: Completed in Denmark for owners not identified. 1952: Sold to W. Thomson, Whitehaven. 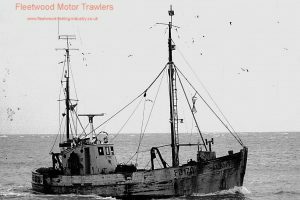 Fished as an anchor seiner. 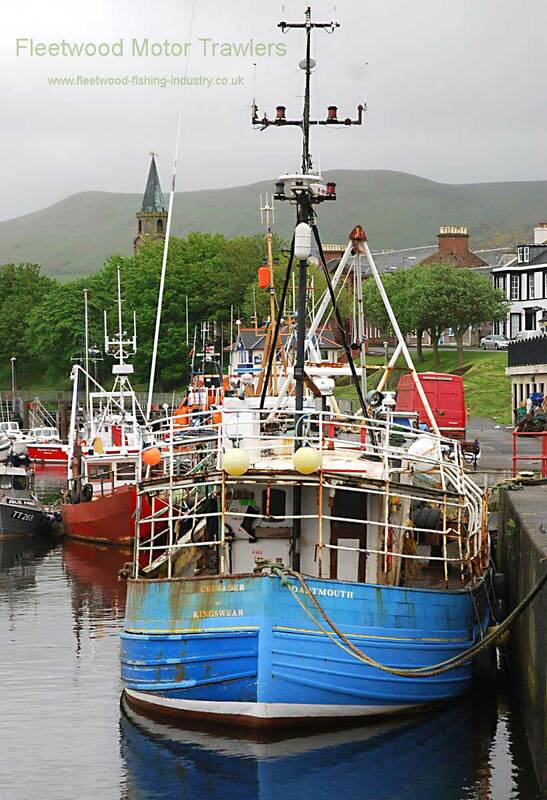 Registered at Whitehaven as CUMBERLAND (WA14). By 31.08.1960: Sold to A. Duthie, Fraserburgh & others. Whitehaven registry closed. Registered at Fraserburgh as SERENITY (FR243). By 31.07.1964: Fraserburgh registry closed. 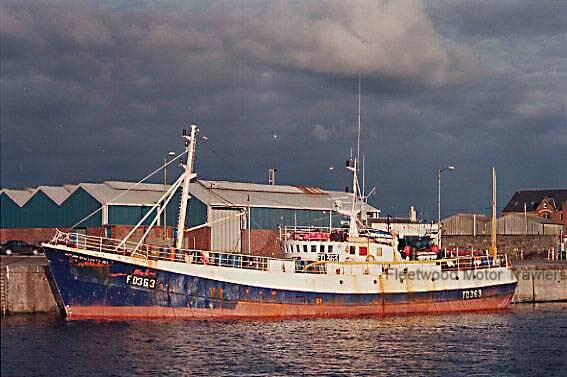 Registered at Peterhead as HARVESTER (PD405). 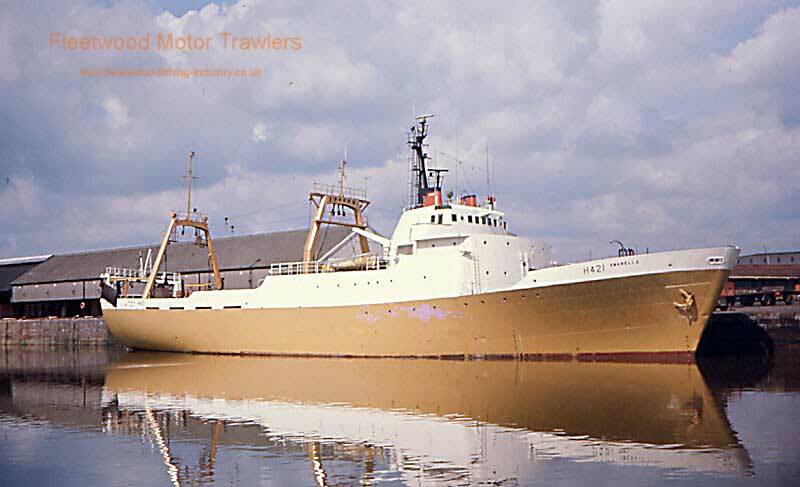 By 31.07.1970: Sold to Martin D. Gardner, Anstruther. Peterhead registry closed. Registered at Kirkcaldy (KY386). 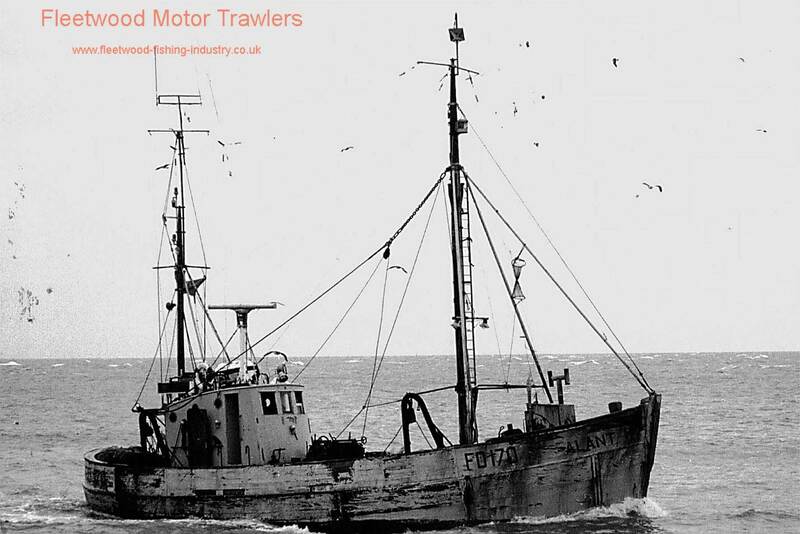 1970: Sold to Associated Fisheries (Scotland) Ltd, Edinburgh. Registered at Kirkcaldy as PLOUGH (KY386). 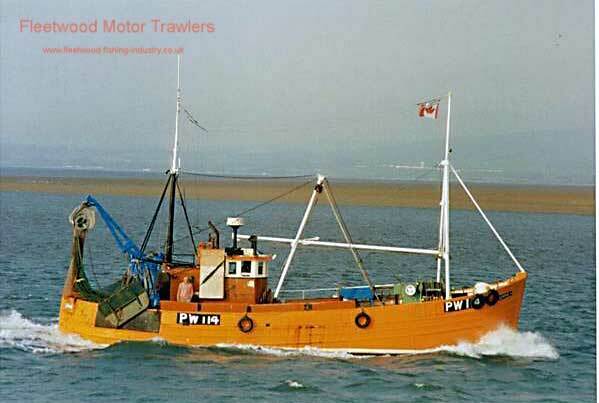 1974: Registered at Kirkcaldy as PLOUGH II (KY386). 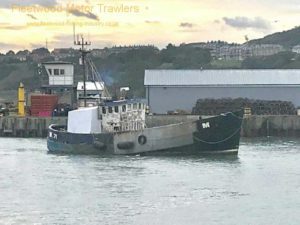 At Oban rigged as a scallop dredger but employed as a prawn trawler. 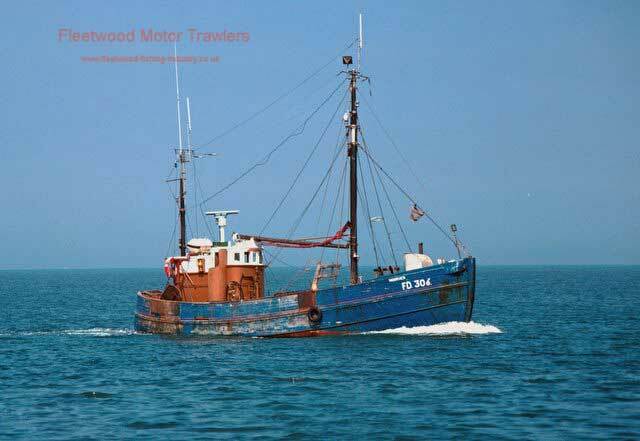 08.1976: Sold to Kenneth P. Brown, Cleveleys (“Mick” Brown). Kirkcaldy registry closed. 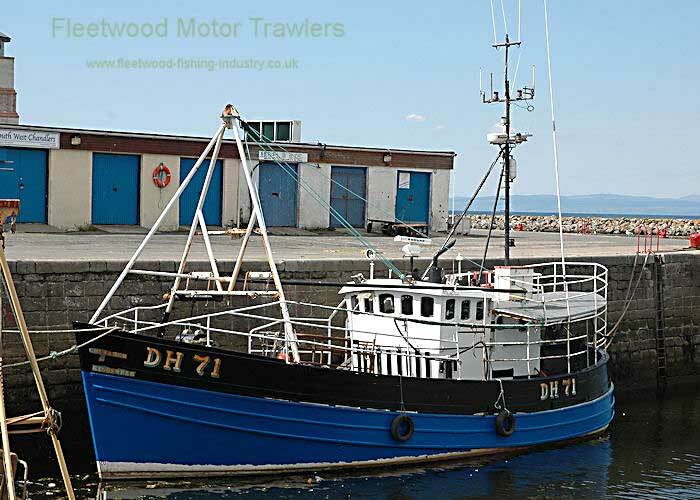 Registered at Fleetwood as IDEAL (FD336). 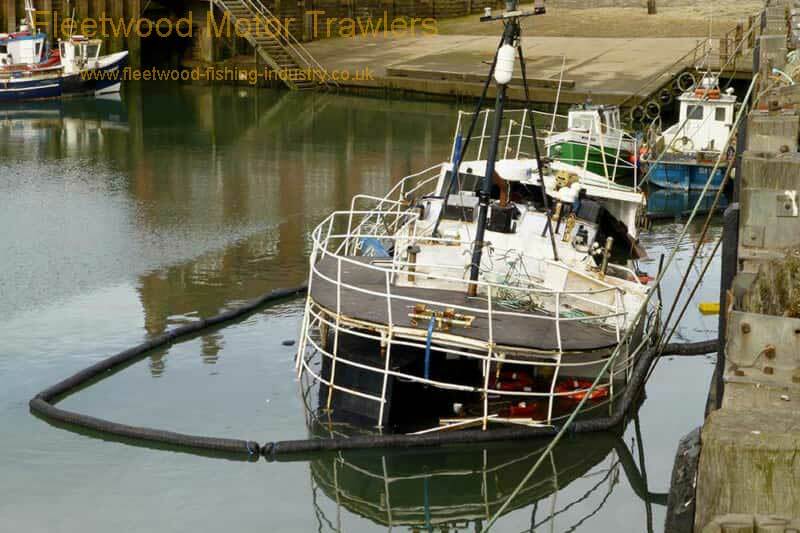 Fitted for white fish trawling. 1979: Re-engined with 6LX 110bhp by Gardner Engines Ltd, Patricroft, Manchester. 07.1981: Sold to Melvyn Pearce & John P. McDonnagh (“Ginger John”), Fleetwood. 1982: Sold to Melvyn Pearce, Fleetwood. 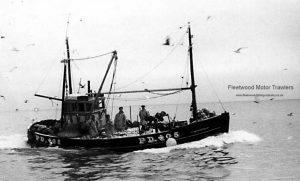 01.1983: Sailed Fleetwood for fishing grounds, dense fog and No.5 buoy extinguished. Missed channel and struck Wyre Light, sprung planks port side, filled rapidly and foundered. 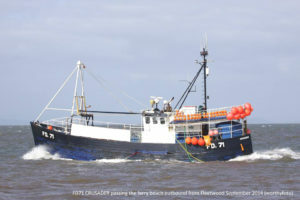 Crew picked up by NAIOM UINSIONN (BS85) (Sk.Barry Hampson) and landed at Fleetwood. Attempts made to raise but settled in scour of the light and filled with sand. Masts and top of gantry cut off and abandoned. Occasionally shows above sand. 22/01/2017: Added image and more information. 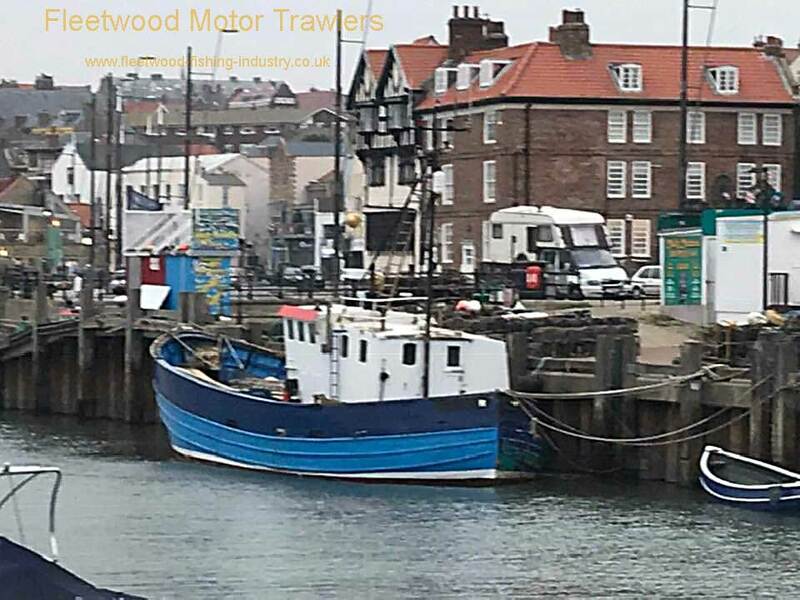 This entry was posted in Lost, Motor Trawler on 16th January 2017 by Howard Small.